HomeBlogFrom the BlogHow small insects fly? It is widely acknowledged that the flight principle of biological flapping wings (birds, bats and insects) is different from the one of the fixed wings (flight vehicles). For a cruising aeroplane, gases around the wings can be simplified to the steady flow. Lifts come from pressure differences caused by airfoil shapes. However, unsteady characteristics can never be neglected when studying the flapping wings. The flapping motions usually generate vortexes over the upper surfaces of wings. Moreover, the flexibility of biological material makes the problem more difficult because fluid-structure interaction also has to be taken into consideration. 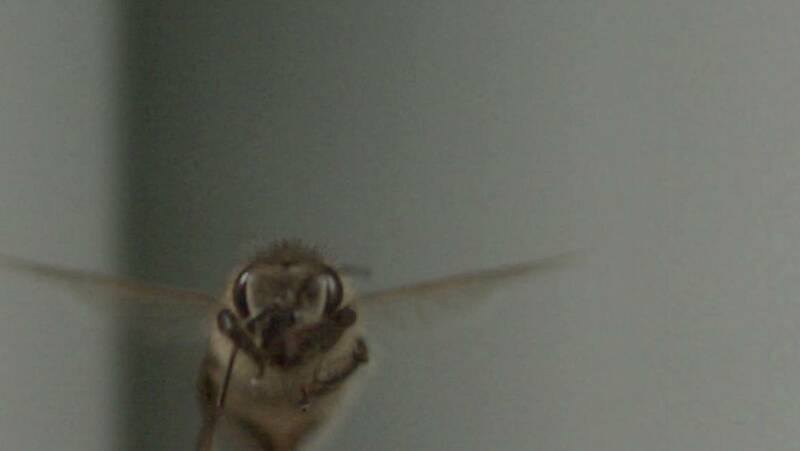 The video above shows that honey bees flap their wings up to 250 times a second. It is quite amazing for their small short wings to get the ‘fat’ body off the ground. An interesting idea is that such low Reynolds number flow may exhibit rarefied phenomena at very small scales. Some researchers found that low Reynolds number flows are viscous and compressible, and rarefied effects increase when the Reynolds number decreases (Sun Q. and Boyd I.D., 2004). They also concluded that a flat plate having a thickness ratio of 5% has better aerodynamic performance than conventional streamlined airfoils in rarefied gases. However, it seems that few studies of the topic were carried out after the paper. In my opinion, it is interesting and important to study the rarefied gas effects around the flapping wings to get a deeper understanding of the flight principles of small insects.